Family Celebratory Christmas Evening. Family Three Caucasian People Sitting Under Coniferous Tree Christmas Tree On Floor Of Carpet Wool. 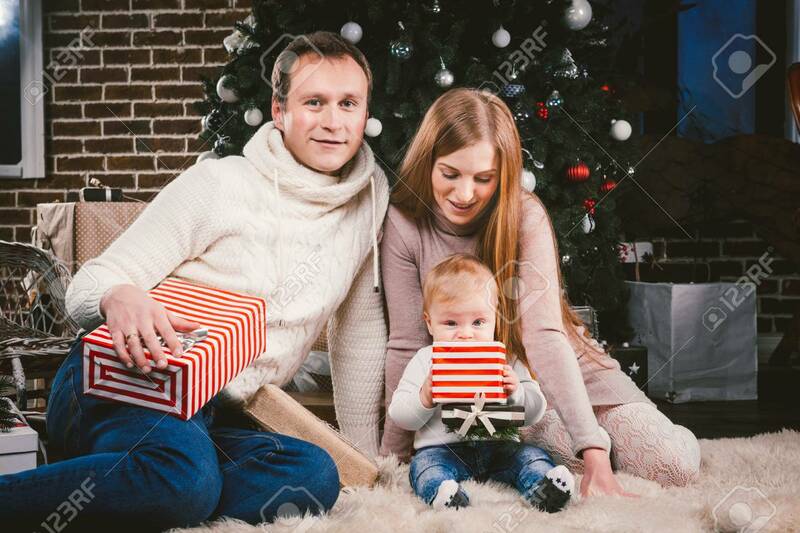 A Child Holds Box With Gift, Parents Young Stylishly Dressed. Lizenzfreie Fotos, Bilder Und Stock Fotografie. Image 115334933.